My courgettes (after a rather feeble start) have now grown to the size of marrows! Presented with a ‘glut’ of both marrow sized courgettes and tomatoes I decided to make some chutney rather than taking the easiest option which would have been to freeze them. Pour into heated sterilized jars and seal. 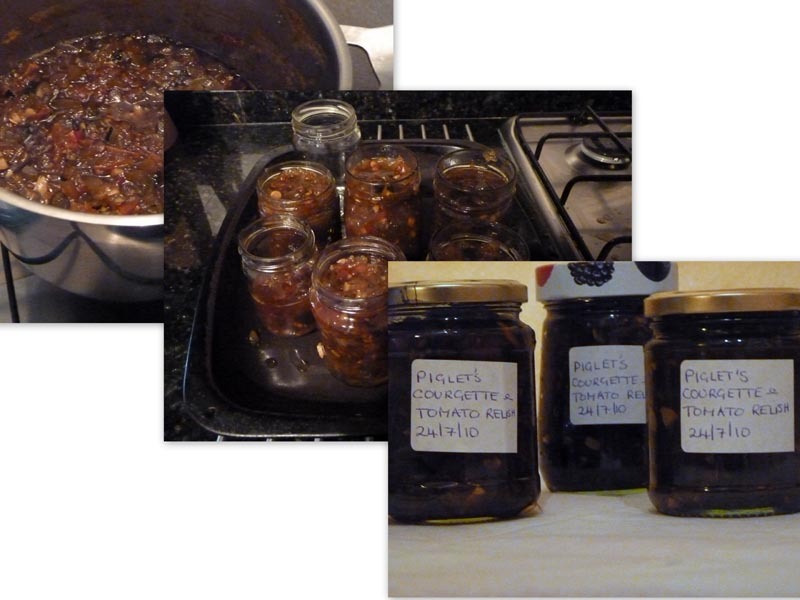 Allow 3-4 months for the chutney to mature. Tourists terrorize the locals – Vuvuzelas find new use! This sounds good! How do you sterilise jars (sorry!)? To sterilise the jars – wash thoroughly in soapy water and rinse, pour boiling water over them including the lids. Place Jars in a hot oven for a 5 mins and leave to cool down. Important Tip – don’t put the lids in the oven wait until it is cooler. I will give it a try – sounds delicious!